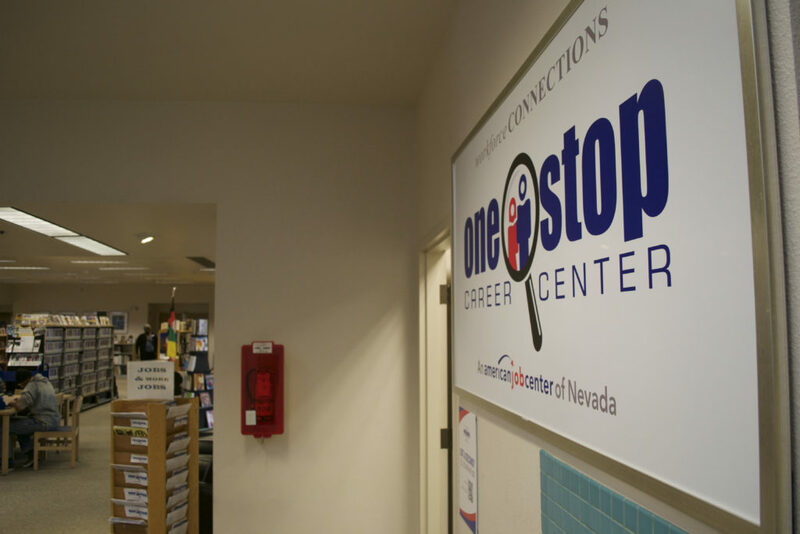 More than 1,000 Southern Nevadans who may not have had access to critical employment assistance and job training, now have availability to new career opportunities thanks to a groundbreaking partnership between Workforce Connections’ One-Stop Career Centers and local library districts. The Las Vegas-Clark County Library District, which is Workforce Connections’ first and largest library district partner, is proud to announce that approximately 60% of these 1,000 enrollments have taken place through the Library District’s four One-Stop Career Centers, located at the West Las Vegas, Laughlin, Mesquite, and Clark County Libraries, with a fifth location soon to open at the new East Las Vegas Library. For details on the centers and services, go to LVCCLD.org or nvcareercenter.org. To celebrate this 1,000th enrollment milestone, there will be a celebration and ribbon cutting for the One-Stop Location at the Clark County Library on Monday, March 11, 2019, at 11 a.m. The Clark County Library is located at 1401 E. Flamingo Rd. (at Maryland Pkwy. ), Las Vegas, 89119. Las Vegas-Clark County Library District’s Mesquite Library was the first library location to host a One-Stop Career Center, opening in 2017. Since that time, the number of One-Stops across the Las Vegas-Clark County Library District has grown to four, with the fifth location debuting at the new East Las Vegas Library, which officially opens to the public on April 25, 2019 (after the dedication ceremony, which runs at 10 a.m. – 11:30 a.m.) For details, please visit LVCCLD.org. Additionally, valley libraries from North Las Vegas to Henderson to Boulder City also host One-Stop Career Centers. With the opening of the East Las Vegas Library location, this will total nine library based centers currently in operation, with the next one planned for the North Las Vegas Library District’s anticipated new library. The One-Stop Career Centers are funded nationally by the Workforce Innovation and Opportunity Act (WIOA). The program brings together shared public resources and programs to maximize the impact of taxpayer dollars. The local partnership between Workforce Connections and Las Vegas-Clark County Library District leaders started as a casual conversation several years ago and has since grown to become a nationwide model among Workforce Development Boards. Through this federal funding, One-Stop Career Center staff work with community members to offer job search assistance, as well as help to secure opportunities for no-cost training and education. Vocational rehabilitation, adult literacy, and other programs are also available at the centers, as well as access to childcare, food stamps, and other supportive services. For a list of all One-Stop Career Center locations and free services, please visit NVCareercenter.org.